Bird perched on twig. 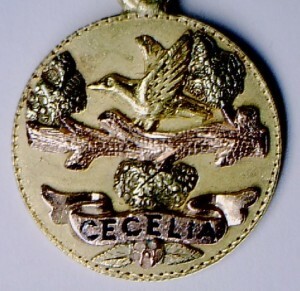 Stud with bird in foliage. 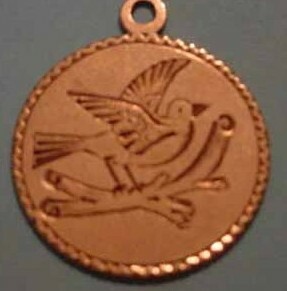 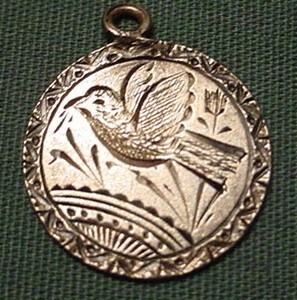 Early Great Britain love token. 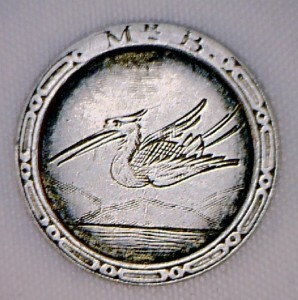 Bird in flight on dime. 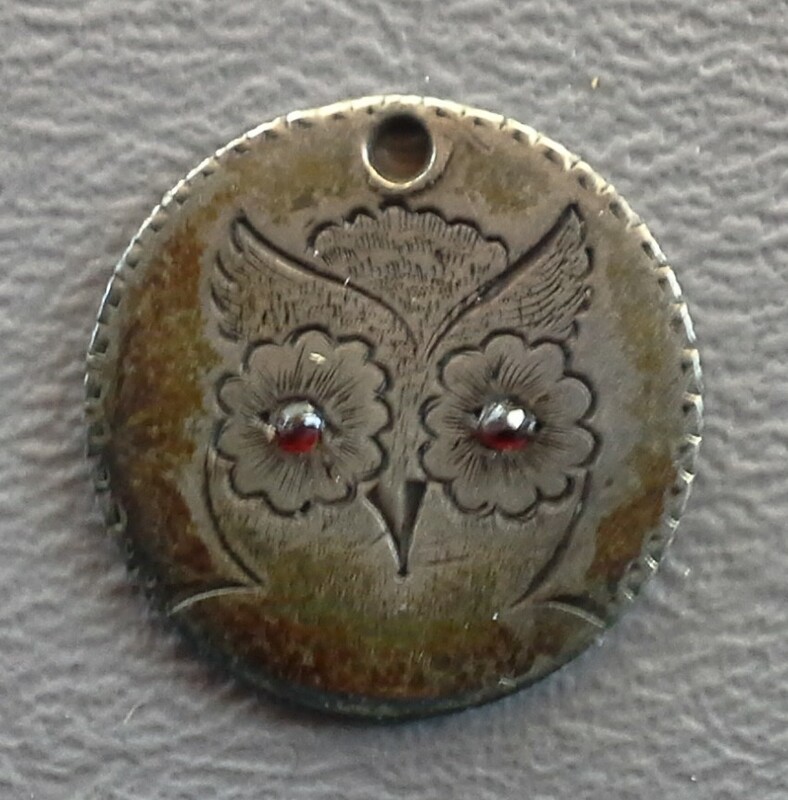 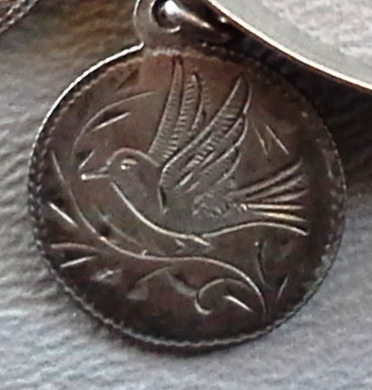 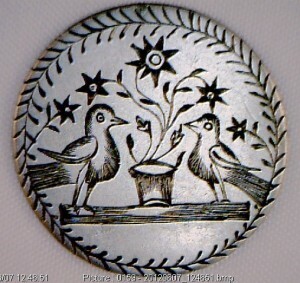 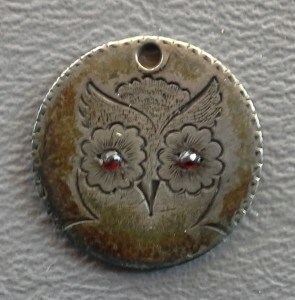 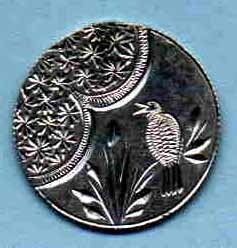 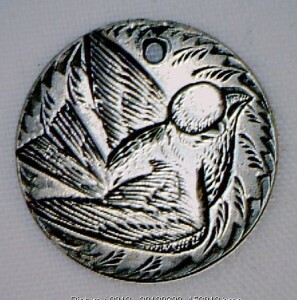 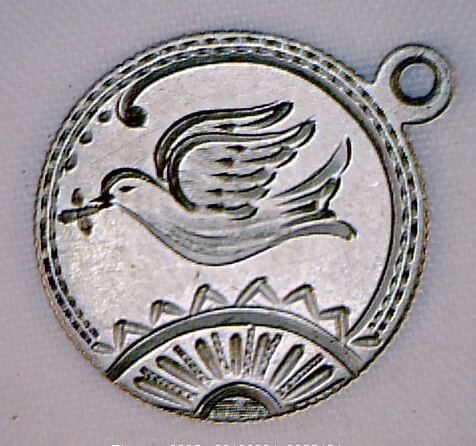 Dove of peace/reverse “WEO” Dime with owl/garnet eyes. 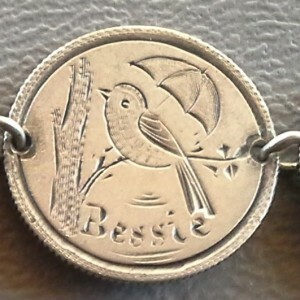 Dime with bird and umbrella. 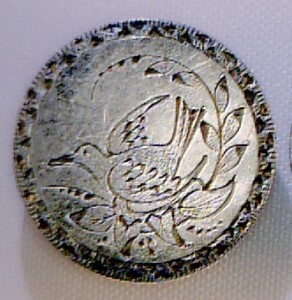 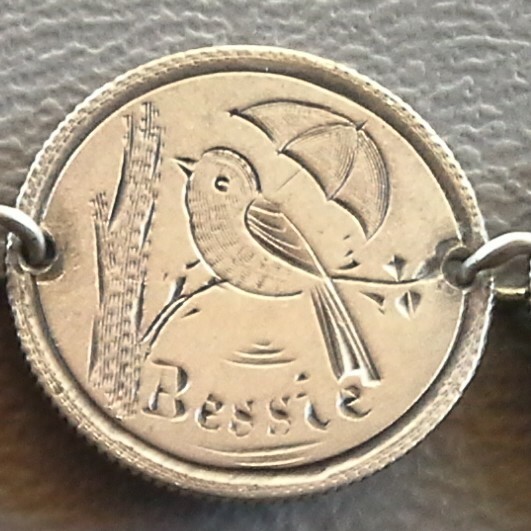 Dime with bird on branch.